Indonesia is unlikely to need to import liquefied natural gas (LNG) until at least 2020 due to robust gas production at home, a senior government official said, even as the government has pushed increased domestic gas consumption. Puja was referring to higher-than-expected output from the Jangkrik gas field operated by Eni. The field was designed to produce 450 million cubic feet per day of gas but output could be up to 600 million cubic feet per day, he said. A liquid natural gas plant is seen at PT Donggi Senoro LNG in Banggai, Indonesia, Central Sulawesi province. 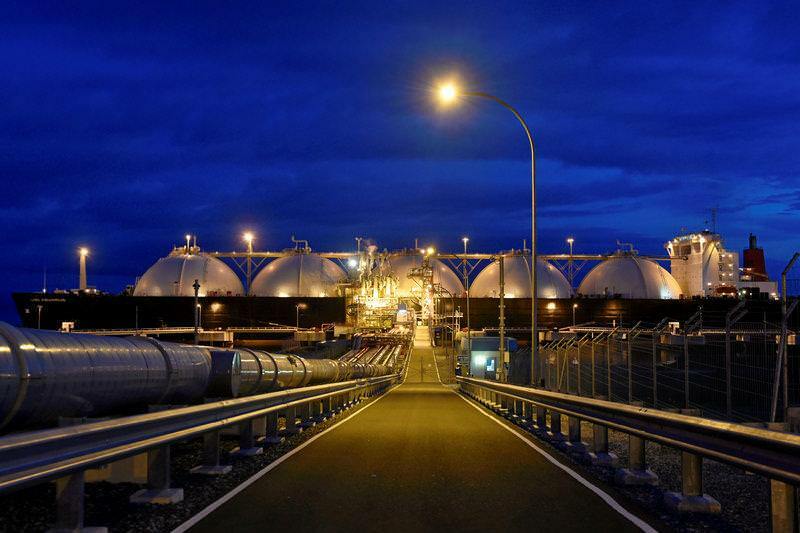 Currently the world’s fifth-biggest exporter of LNG, Indonesia has lost market share to new production from Australia and Qatar and as output is reserved for domestic needs. However, the domestic gas market has not developed as anticipated even after the government promoted the fuel to replace coal for power plants and as an industrial fuel. Power plant developers in Indonesia are still relying on cheaper coal, however, which has curtailed the development of gas infrastructure. Puja also called into question imports after 2020 when he mentioned BP’s Tangguh Train 3 project will supply more gas to Indonesia from 2020 onwards. “At the end of 2020 we won’t need to import,” he added. The comments come even as Australia’s Woodside Petroleum inked a contract in April to supply Indonesia’s state-owned energy company Pertamina with LNG from 2019 to 2034. Pertamina also has a LNG import deal with U.S.-based Cheniere Energy Inc from 2018 and Exxon Mobil Corp from 2025. Puja suggested those supplies could be redirected to other LNG buyers in Asia, particularly Bangladesh. “We are pushing Pertamina to go global,” he said. When contacted by Reuters, Pertamina’s Vice President for LNG, Didik Sasongko, supported that idea. “We can use it for trading or to optimise Pertamina’s LNG portfolio,” Sasongko said, referring to the Cheniere deal. “There’s flexibility on delivery,” he said when asked about the Woodside imports. Meanwhile, Puja said that Indonesia is looking for buyers for 16 to 18 uncommitted LNG cargoes for this year. He expects an average of 50 to 60 uncommitted cargoes per year until 2035.